It's an exciting time right now for 19-year-old Noah Gragson and that included Friday at Bristol Motor Speedway. 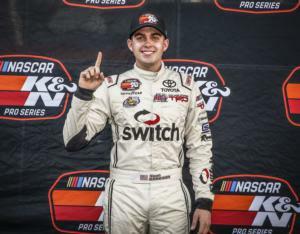 After Joe Gibbs Racing announced Thursday that Gragson would make his NASCAR Xfinity Series debut next week, Gragson set the NASCAR K&N Pro Series track speed record at Bristol heading into Saturday's Zombie Auto 150. Gragson, driver of the No. 54 Switch Toyota, ran a top lap of 15.159 at 126.578 mph. The goal now is to translate the pole win into a race victory on Saturday ahead of his Xfinity Series debut. "I didn't think it was going to be that good and then they told me to shut it down, so I figured I had something good," Gragson said. "Hey we're on the pole, that's awesome. I'm excited. In my short career, I've learned you're only as good as your last time out on the track. (Saturday) is a new day. We can't hang our hats on what we qualified because those guys are hungry. There's a lot of good drivers with a lot of experience. Just have to keep that confidence going as much as I can, but we still have to work hard." Tyler Dippel will join Gragson on the front row for Saturday's race at Bristol. 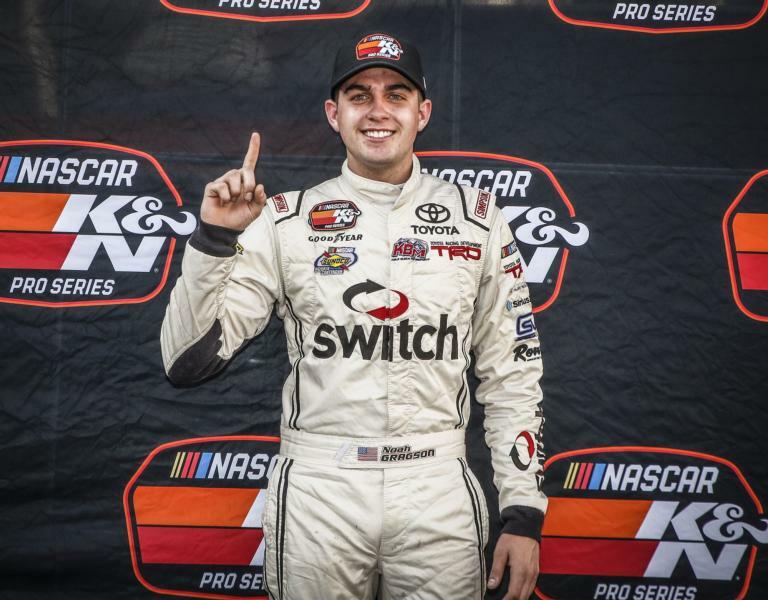 Gragson, who also runs in the NASCAR Camping World Truck Series for Kyle Busch Motorsports, was strong throughout Friday, capping it off with an impressive performance in qualifying. A big key for Gragson has been leaning on the expertise of Busch, who has won at Bristol 20 times over the top three NASCAR series. "He's helped me quite a bit, just little things," Gragson said. "All the knowledge I gained in the past year working at Kyle Busch Motorsports I put in that lap."